An update to Vol. 2, p. 553. Ha-Gosherim is located on a broad terrace near the kibbutz of the same name in the northern Ḥula Valley. The terrace, consisting of a travertine base covered by a 1.5 m-thick layer of soil and accumulations from ancient settlements, rises some 20–30 m above Lake Ḥula. The abundance of flowing water and alluvial soil in the area enabled the inhabitants to earn their livelihood through the cultivation of irrigated crops, grazing, fishing, and hunting. J. Perrot, who conducted a survey of the site in the 1950s, was the first to realize its importance to the study of the prehistory of the southern Levant. Surveys conducted by A. Assaf added much to our knowledge of the site and yielded a rich and comprehensive assemblage, now kept at the Museum of Prehistory in Ma‘ayan Barukh. The size of the site as determined by Assaf’s surveys is c. 20 a. 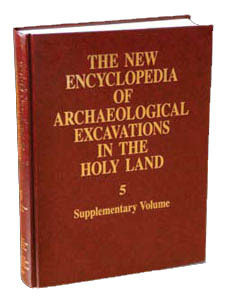 In 1978 and 1980, a pilot excavation was conducted at the site by T. Noy on behalf of the Israel Museum. During the summer seasons of 1996 and 1997, N. Getzov, on behalf of the Israel Antiquities Authority, conducted an extensive salvage excavation of a 0.5-a. plot near the site’s southwestern corner. Four areas (from west to east: W, M, N, and E) were investigated as part of this excavation. Six occupation strata were revealed, their distribution indicating that the main part of the settlement moved over time and that the settled area always extended over part of the site only. The excavation results indicate that the settlement attained considerable importance in the early Chalcolithic period.